Let's first understand, what is an electricmeter? This is a device that takes into account the consumption of electricity. The counters are: single-rate, dual-rate, three-tariff; single-phase, three-phase. Three-phase electric meter is a device for metering power in 3 and 4 wire networks three-phase alternating current with frequency of 50 Hz.Such three-phase meterand is installed to ensure consumers can connect more electrical appliances, the power of which not only 220 volts, but 380. To install three-phase meter it is necessary to write the application to the organization delivering you with electricity. Connect the meter definitely needs a professional electrician. It is not only the requirement of the organizations that supply electricity, and the rate of security. Unprofessional connection counterand can be costly for the landlord, and to the mountain master. Set Elektrothe counter where the wiring runs. 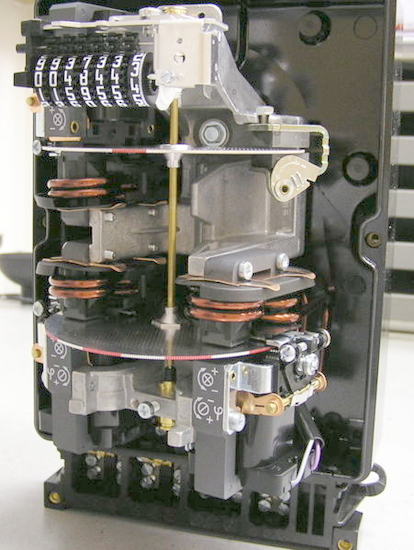 All electrical wires that fit in the apartment connect to the input terminals of the electrometer, and output terminals - this is the separator electrical circuit, the electrical wiring of the subscriber. Plomberie device. Makes this procedure the employee organisations that supply you energy. As soon as you seal the counter, you can do the wiring in the apartment. If you had to install the meterwhere there is a risk of contamination or the space available for unauthorized persons, then the counter is better to install in a special Cabinet. This Cabinet has a window at the level of the dial and locks. The presence of twists and rations in the wiring to the counter isnot allowed. The smaller section wires to the meteram 2.5 mm2 aluminum conductors up to 4 mm2. About counters at the wiring it is necessary to leave the ends of the wires at least 120 mm Before the meterOhm insulation on the length of the neutral wire of 100 mm should be different color. In the premises of the voltage in networks of up to 380 volts, you need to detach the counterand a special switching apparatus to a distance of 10 meters from the counter. When installing the meter, ensure reliable, sturdy contact attached wires. Clanmovie the screws tighten 2 admission. If you use copper flexible wire, then do the pre-tinning solder. Use tin-lead solder, it will provide a more reliable connection. It is recommended that after six months of operation of the counterand cause the representative of the organization of electricity supply and check the terminal number contacts. If you want to ensure that you have correctly connected the meter whether it was true his testimony, turn off all your appliances and see how the meter disk. If it does not rotate, the installation went well. It is possible to calculate whether the counter counts the consumption of electricity. Take the appliance which you know the power. Turn it on for 5 minutes and see how much energy he will spend. Compare the costs of passport data and counter. If the results differ, contact the organization that provides the energy. The meter connection is a must, but we must make sure that the account most of the benefits.